Clip ID#: 23511462; Downloads: 5 Downloads; Number of Views: 52; Date Uploaded: 17 May 2013; Date Created: 2013 May 10; Model Released: No; Property Released: No; Seamless Looping: No. Available Formats: AFTER EFFECTS (1920x1080) 515.2 MB. 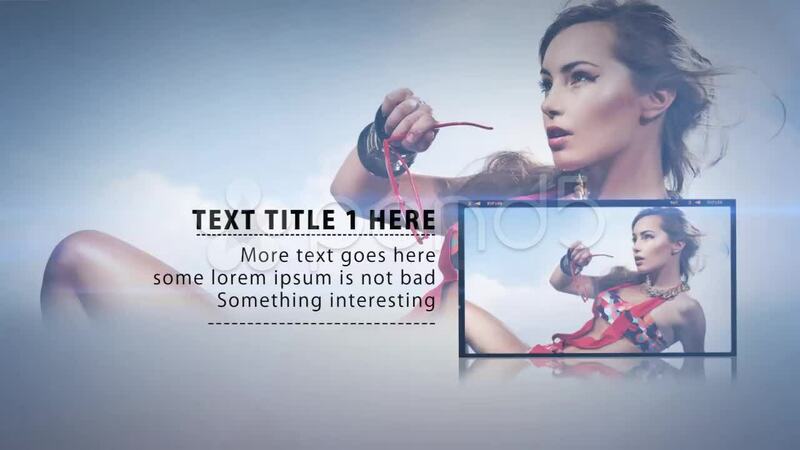 After Effects CS5 Project with flipping Rectangles revealing text and photos or videos. Cool, modern transition effect with clean lines and smooth animation. 13 text placeholders. 12 video or photo placeholders. No plug ins required, everything is done inside After Effects. The transitions can be adjusted and this project can be made to any length you want, from 10 seconds to as long as you like, just by repeating sections of the project. Music is not included. the images used in the preview are not included. Keywords: awesome, block, blue, box, bright, building, business, clean, colors, commercial, contact, corporate, cs5, dirty, elegant, fashion, fast, film, garish, grit, grunge, images, ink, light, modern, paced, paint, photo, photographer, photography, rectangle, romantic, sad, sheet, show, splat, splats, splatter, stylized, template, text, video, world. Design After Effects Project - Pond5 Fashion Show 23511462 style in Adobe After Effects. Full details of After Effects Project - Pond5 Fashion Show 23511462 for digital design and education. After Effects Project - Pond5 Fashion Show 23511462 information, music or audio name, or anything related.